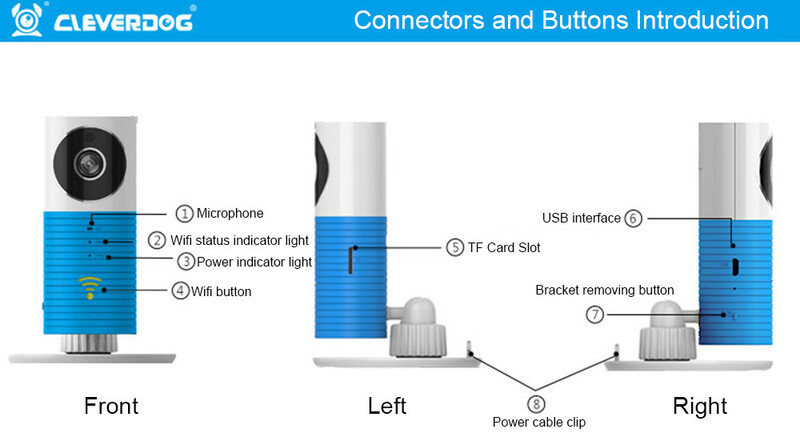 Easy Setup: Quick intuitive guided installation. 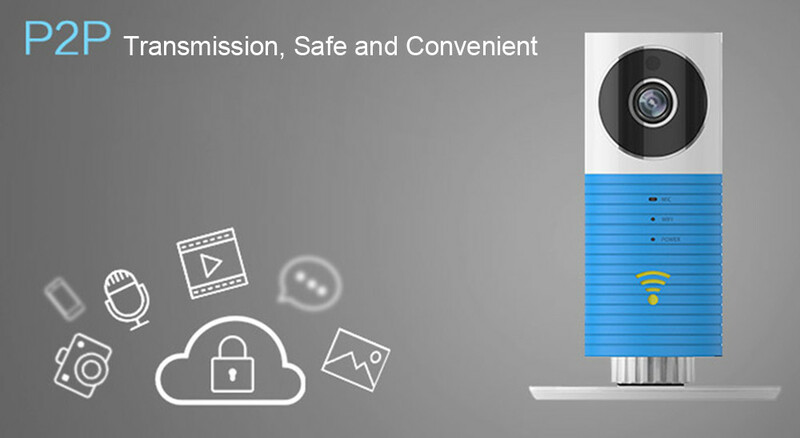 Remote Monitoring: Live video on your mobile devices, tablets from any Internet connection. 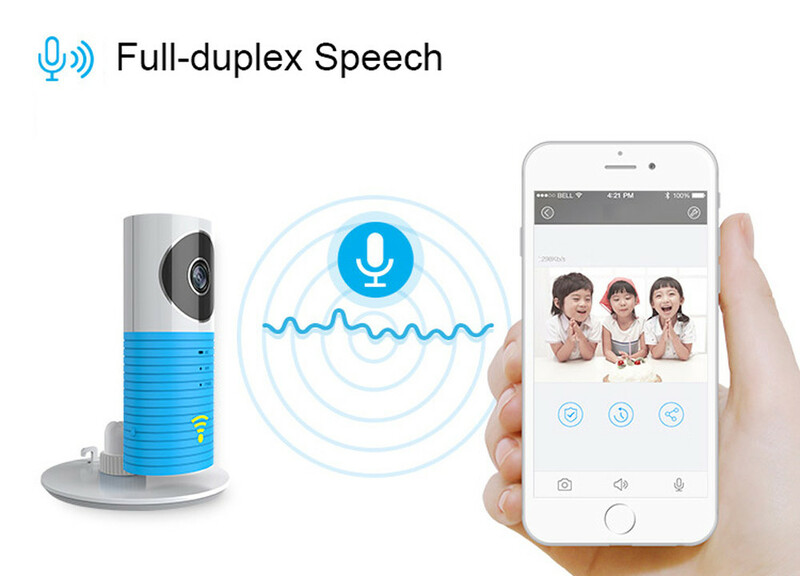 Two-Way Audio: Communicate with family and friends on mobile devices, talk to camera or listen to camera. 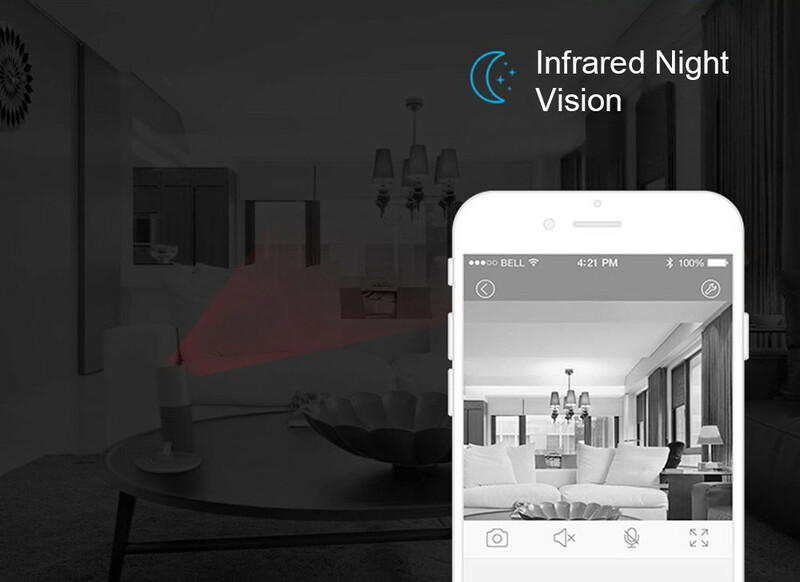 Night Vision: Automatically enable infrared induction under low illumination. 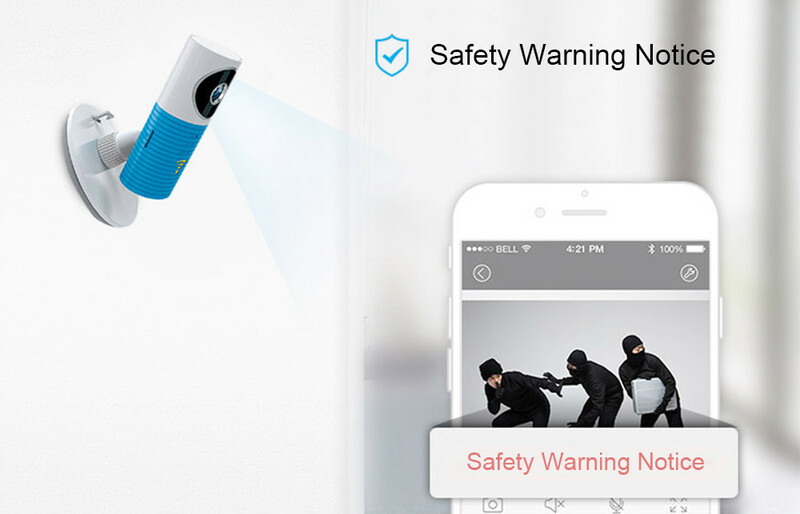 Motion Detection: Automatically detect moving object and trigger alarm. Send alert emails to user and upload screen captures to FTP server. 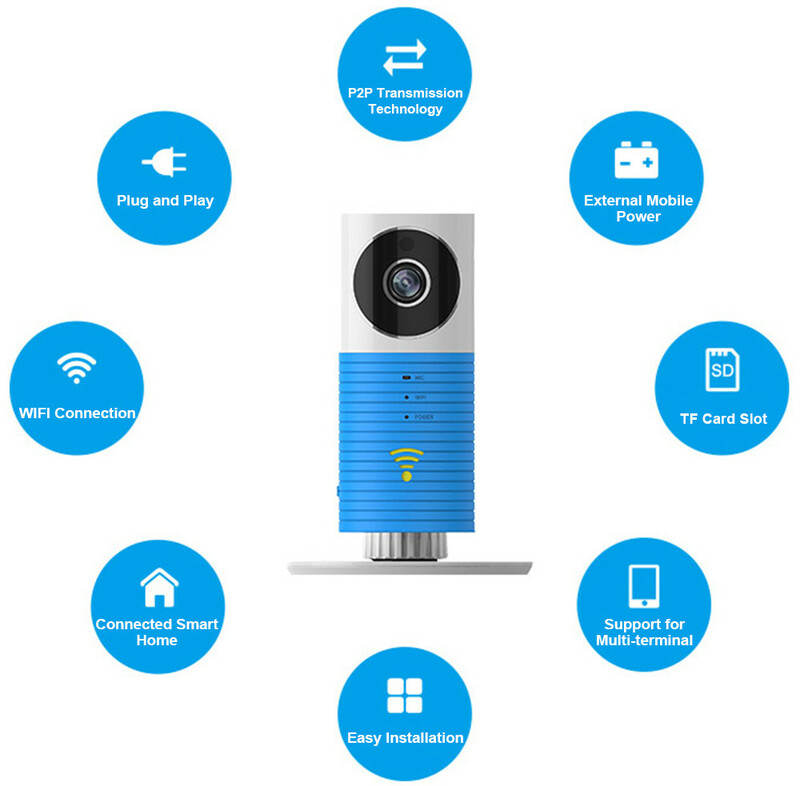 Recording: Record video to a remote storage device. 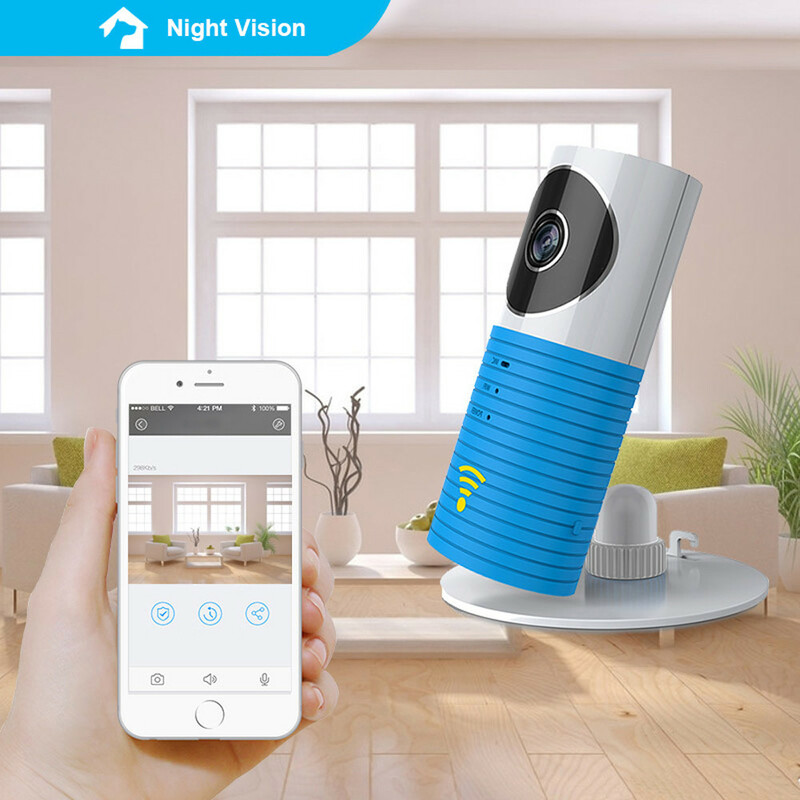 Wireless: The camera requires a home wireless network in order to function. work available with 3G ,4G network. Apple: Please search Cleverdog at the Apple App store. Or scan QR code at the bottom of the package and download the App.